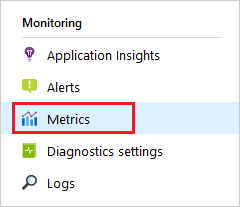 With Azure Monitor, you can visualize, query, route, archive, and take actions on the metrics or logs coming from Azure resources. 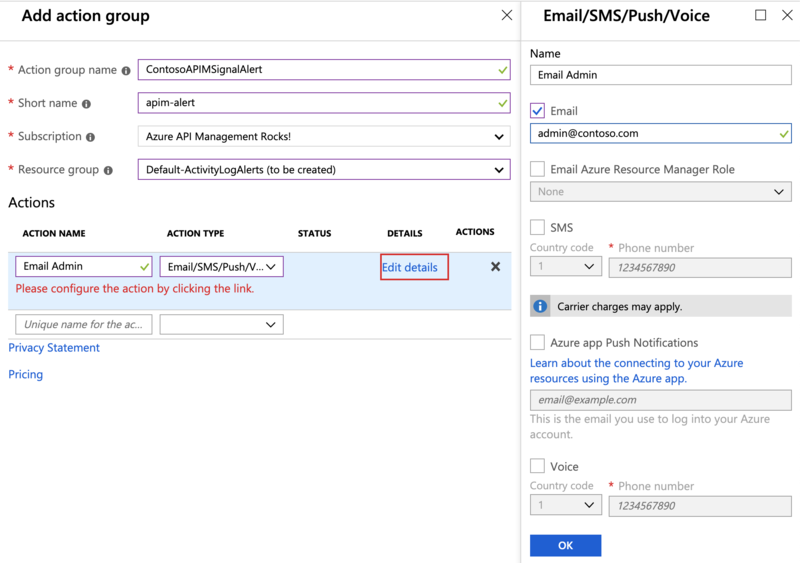 The following video shows how to monitor API Management using Azure Monitor. Capacity (preview): helps you make decisions about upgrading/downgrading your APIM services. The metric is emitted per minute and reflects the gateway capacity at the time of reporting. The metric ranges from 0-100 calculated based on gateway resources such as CPU and memory utilization. Total Gateway Requests: the number of API requests in the period. Successful Gateway Requests: the number of API requests that received successful HTTP response codes including 304, 307, and anything smaller than 301 (for example, 200). Failed Gateway Requests: the number of API requests that received erroneous HTTP response codes including 400, and anything larger than 500. Unauthorized Gateway Requests: the number of API requests that received HTTP response codes including 401, 403, and 429. Other Gateway Requests: the number of API requests that received HTTP response codes that do not belong to any of the preceding categories (for example, 418). Select Metrics from the menu near the bottom of the page. From the drop-down, select metrics you are interested in. For example, Successful Gateway Requests. You can also add more metrics to the chart. The chart shows the total number of successful API calls. Select Alerts from the menu bar near the bottom of the page. Click on a New alert rule for this alert. Select Metrics in the Signal type drop down. Select Unauthorized Gateway Request as the signal to monitor. In the Configure signal logic view, specify a threshold after which the alert should be triggered and click Done. Select an existing Action Group or create a new one. In the example below, an email will be sent to the admins. Provide a name, description of the alert rule and choose the severity level. Now, try to call the Conference API without an API key. The alert will be triggered and email will be sent to the admins. Activity logs provide insight into the operations that were performed on your API Management services. Using activity logs, you can determine the "what, who, and when" for any write operations (PUT, POST, DELETE) taken on your API Management services. 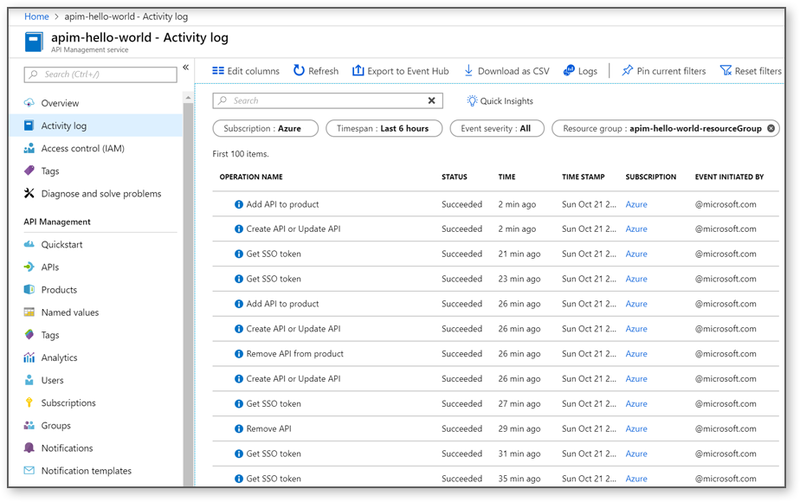 Activity logs do not include read (GET) operations or operations performed in the Azure portal or using the original Management APIs. 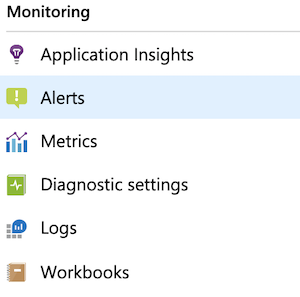 You can access activity logs in your API Management service, or access logs of all your Azure resources in Azure Monitor. Select your APIM service instance. Select desired filtering scope and click Apply. Diagnostic logs provide rich information about operations and errors that are important for auditing as well as troubleshooting purposes. 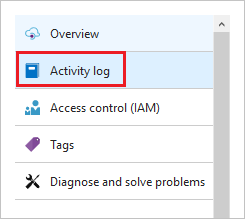 Diagnostics logs differ from activity logs. 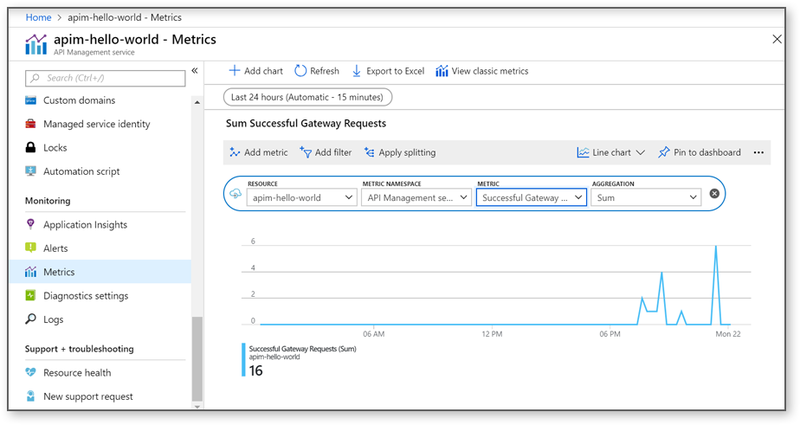 Activity logs provide insights into the operations that were performed on your Azure resources. Diagnostics logs provide insight into operations that your resource performed. Click Turn on diagnostics. 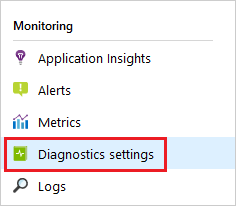 You can archive diagnostic logs along with metrics to a storage account, stream them to an Event Hub, or send them to Azure Monitor logs.